On Mothering Multiples, Kathy Manta, Ed. You are at:Home»Reviews»Book Reviews»On Mothering Multiples, Kathy Manta, Ed. 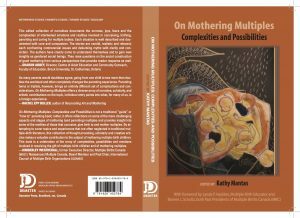 – On Mothering Multiples: Complexities and Possibilities is an anthology comprised of fifteen essays by mothers of multiples. The collection includes a mix of personal essays and well-researched academic papers with three “interludes” by visual artists. The anthology is bookended by opening and closing chapters by the editor, Kathy Mantas. As mother of two singletons, I read On Mothering Multiples not in appreciation of a common experience, but to better understand the lives of women who birth multiple children at concurrent ages. I had often wondered how my friends who had twins coped with newborns, but I did not realize how mothers of multiples are a subculture of their own, who do not fit easily with mothers of singletons. The contributors discuss the physical, psychological, and social differences of mothering multiples, the importance of community, and the need to avoid the trend of intensive mothering that is prevalent in today’s North American culture. This level of awareness is consistent through out the anthology—each writer discusses the challenges faced, but acknowledges that it could have been much harder. All of the contributors have a higher education, with several mothers identifying as queer/lesbian and one as a single mother. Several mothers wrote about having special needs children, which is more common in twins, and the difficulties of parenting two children with radically different needs. 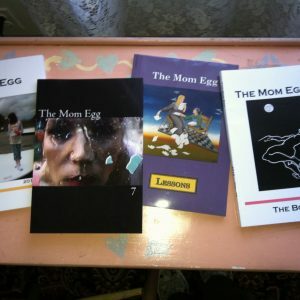 Essays by mothers who lost one or both twins are also included. And then night and day blurred together into the babies’ hunger, time floating on an endless stream of milk. 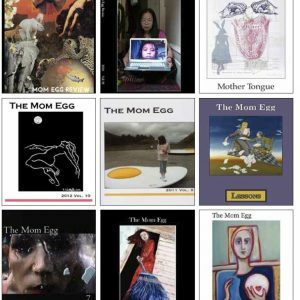 The lyrical essays allow the reader access into the feel of mothering multiple infants, while academic works reinforce the common challenges of breast feeding, obtaining childcare, and the effects on the mother of conceiving, carrying, and birthing children with substantial medical intervention. At times funny, “Eating real ice cream every night in the name of bearing healthy, full-term twins was just one of many sacrifices I made for them” (134) and at other points heart-rending, this anthology runs the gambit of emotion. Although I do not share their experience of mothering multiples, I am still a mother, and could see myself in lines such as, “In fact, my greater physical need was to not be touched—by anyone—for at least short periods of the day” (235). I remembered that exact feeling from when I was nursing my own baby. Robertson and Trevenen challenge hetero-normative thinking as they recount their experience conceiving and raising their male and female twins, and their thoughtful commentary had me re-examining my own thoughts on mothering. While this is an important collection for mothers of multiples, and their friends and families (it would make a great gift for a pregnant-with-multiples mother!) it also is relevant for mothers of singletons to appreciate the commonalities and differences between us. On Mothering Multiples strengthens the inter-connected web of mothering that runs through us all. Lara Lillibridge was a top 5 finalist for DisQuiet’s 2016 literary prize in Creative Nonfiction. She has had essays published in Pure Slush Vol. 11, Polychrome Ink, Huffington Post, The Good Men Project, The Feminist Wire, and many others. She holds a MFA from West Virginia Wesleyan College.